There was quite a kerfuffle earlier this week when TechPowerUp reported that MSI had betrayed its AMD Socket AM4 longevity promise. Quoting an official MSI support email, in response to an MSI X370 XPower Titanium owner's enquiry, the tech site was bitterly disappointed that MSI appeared to be breaking a promise in the hope of financial gains. Specifically, it was asserted that MSI wouldn't be issuing BIOS updates to make its AMD 300- and 400-series motherboards compatible with the upcoming 4th generation (Zen 2) Ryzen processors. AMD has stated several times that its motherboard chipsets will be backwards and forwards compatible with at least four generations of processors. Today in an update to the above situation, MSI has written to HEXUS, Tweeted a clarification, and published a news blog post to clear and calm the waters. The briefest, clearest statement comes via its Tweet, thanks to the inherent brevity of the platform, where it wrote that "MSI is keeping pace and moving forward with our close partner @AMD. We are glad to reveal that the upcoming BIOS update will be available soon for our 300-series and 400-series motherboards supporting AMD's next gen Ryzen processors". 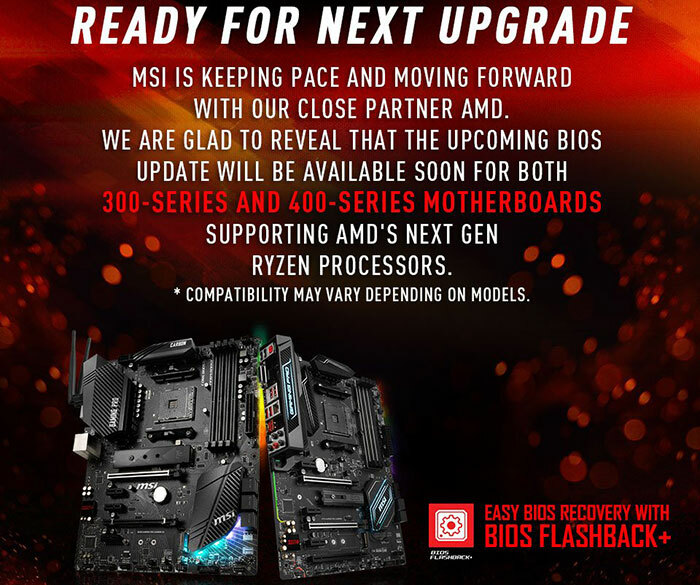 On its news blog, MSI wrote about the confusion that had been caused and sought to address it with a full set of motherboard tables with BIOS upgrade files references expected to be delivered from May onwards. 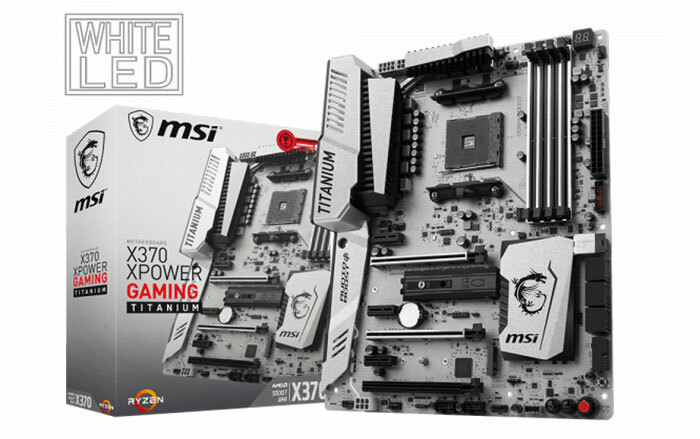 "MSI Customer Support has regrettably misinformed an MSI customer with regards to potential support for next-gen AMD CPUs on the MSI X370 XPower Gaming Titanium motherboard," it explained. Going into further detail about the state of play, MSI added that "At this point, we are still performing extensive testing on our existing lineup of 300- and 400-series AM4 motherboards to verify potential compatibility for the next-gen AMD Ryzen CPUs. To be clear: Our intention is to offer maximum compatibility for as many MSI products as possible." 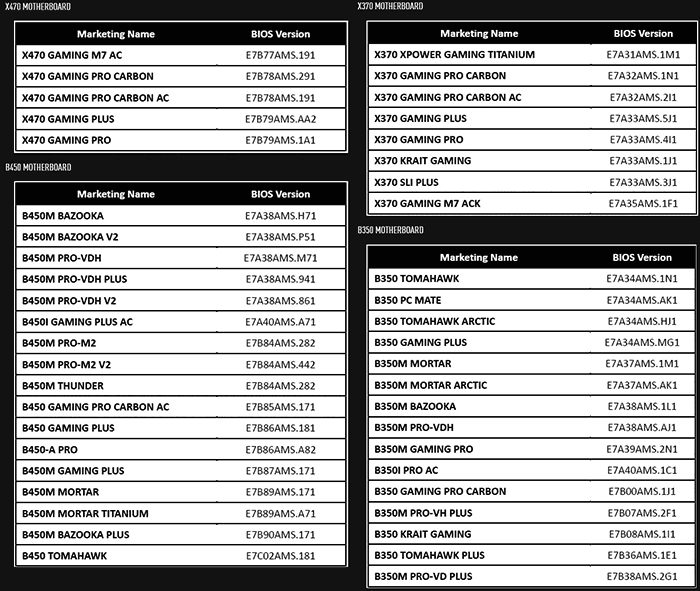 I've compiled the full set of BIOS update tables, correct at the time of publishing, above. As we get nearer to the launch of the next-gen AMD CPUs, MSI will release a full compatibility list of its AM4 motherboards - expected in May. Other motherboard vendors are likely to follow suit around the same time. Makes me glad I didnt buy a msi board. have to use their USA site to get updates for my board. Not impressed. Not sure what I am supposed to be seeing there. My Asus motherboard had an AGESA 0072 BIOS update nearly a month ago so support for 3000 series is already there. Glad for the clarification, I have an X370 Titanium.